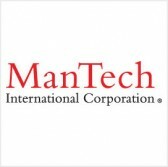 ManTech International has been awarded a potential five-year, $33 million task order by a U.S. Defense Department organization to provide systems engineering, technical assessment and subject matter support for intelligence operations. The company said Tuesday it received the firm-fixed-price task order through the General Services Administration’s One Acquisition Solution for Integrated Services contract vehicle. DoD’s Battlefield Information Collection and Exploitation Systems program office coordinates with unified combatant commands, service branches and intelligence agencies to support operations. Daniel Keefe, president and chief operating officer of ManTech’s mission solutions and services group, said the company’s partnership with BICES will work to provide information sharing services to the Defense Department and operational commanders on a global scale. ManTech will perform work over a one-year base period and the order contains four 12-month option periods.